It climbs up Mount Sos Paris, on the eastern slope of Montiferru. Surrounded by holm and cork oak forests and hydrated by beneficial springs, the name of this town derives from s’ena (meaning spring). 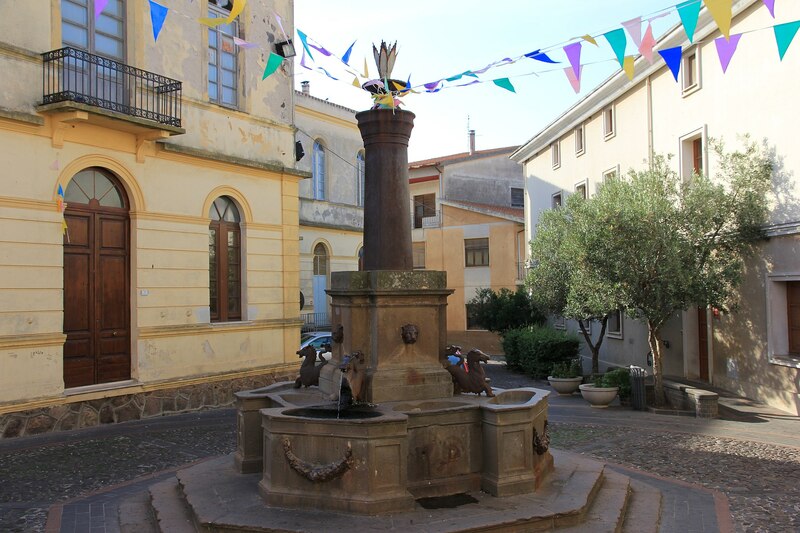 Seneghe is a farming town of 1,800 inhabitants that has retained its charming city centre and rich archaeological heritage in the heart of a landscape ideal for excursions and rich in olive trees (65 thousand in 200 hectares). 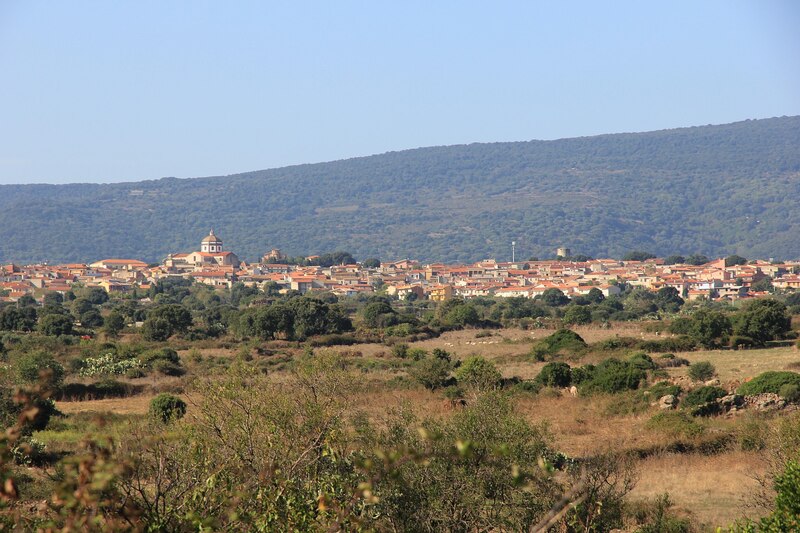 The town is known for producing honey and above all, olive oil, which was awarded the Ercole Olivario Prize, the highest national honour, in 1994. The town is a founding member of the City of Oil. Famous initiatives dedicated to olive oil take place here: the Montiferru Prize award ceremony, is held in the 17th century Casa Aragonese at the end of the year, and in late November, Prentzas Apertas, an opportunity to taste local cheeses and sweets along the streets of the city centre as well as in the olive oil mills. 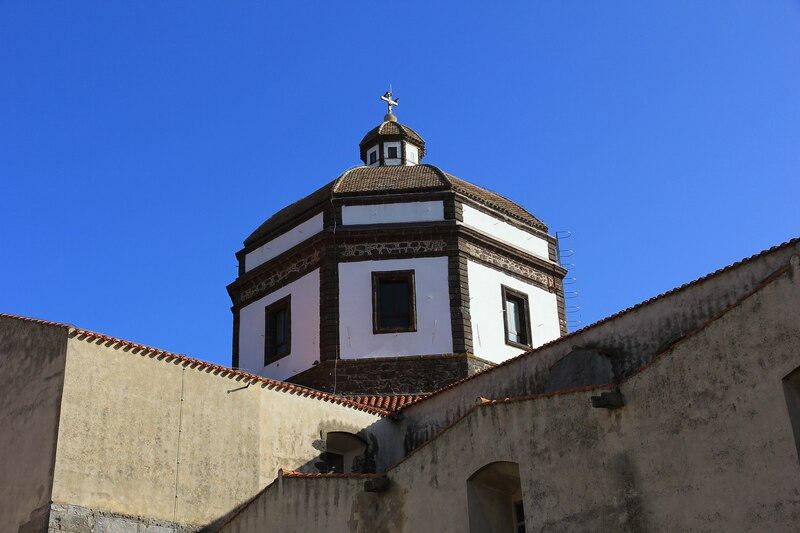 Historically, the town’s economy also relies on animal farming and craftsmanship: Bue Rosso meat, casizolu cheese, wood, stone and iron works, musical instruments and traditional clothes are local specialties. 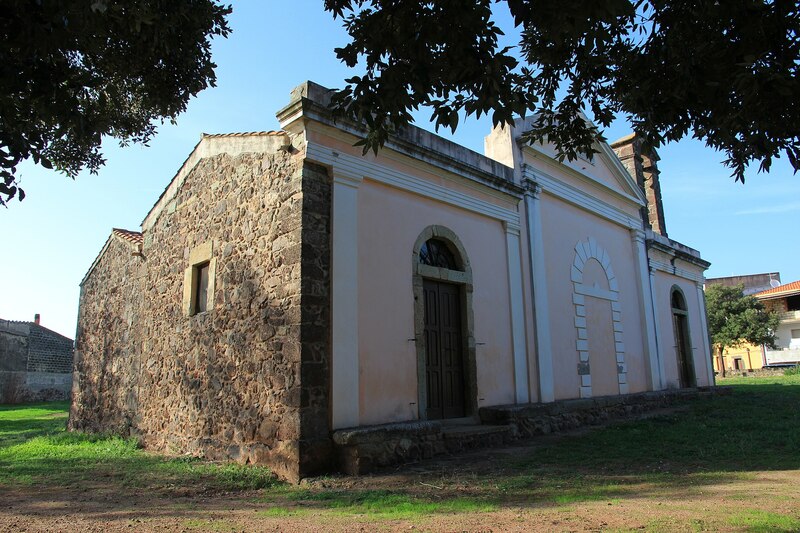 Villa de Seneghe along with its most important church, the Church of Santa Maria de Sa Rosa, located at the town’s entrance and dating to the 11-12th century, was mentioned in the Condaghe of Santa Maria di Bonarcado. In the beginning of June, it hosts the most captivating of festivals, as well as an ardia (horse race). The town is situated around the Baroque-style (ex) Parish of Immacolata Concezione. Consecrated in 1893, its 36-metre high dome soars above Sos Paris. 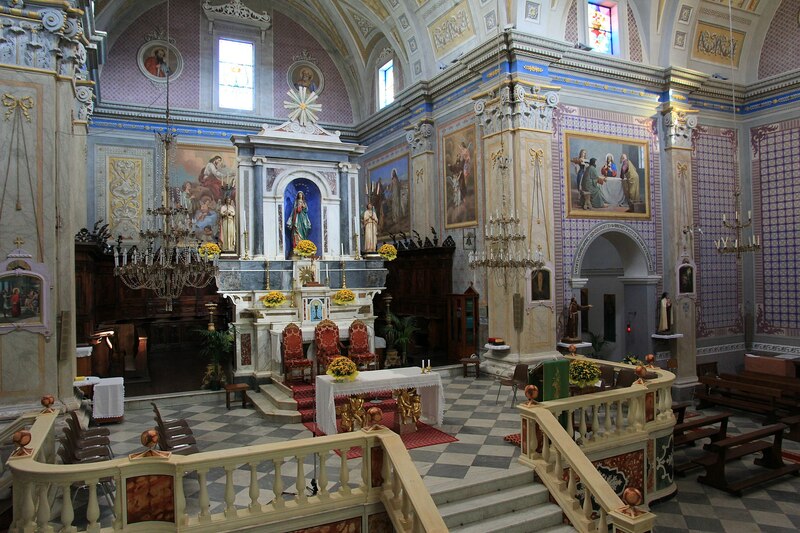 The more recent Parish of San Sebastiano Martire was completed five years later. Piazza del Balli, the pulsing centre of the town, and the 17th century Church of Sant’Antonio da Padova, testimony of the Spanish period, are located just a few hundred metres away. The squares are dotted with wells and fountains. On January 20, a bonfire for Saint Sebastian marks the beginning of Carneval of Seneghe, which ends on Fat Tuesday with the spectacular dances of sas andanzias. The rituals of the Holy Week, accompanied by the four voice a cuntrattu choirs, are evocative. Song is closely linked to poetry: in early September, as if by magic, the town fills with literature enthusiasts for the International Festival of Cabudanne ‘e Sos Poetas, named the best poetry event in Italy in 2009. The festival is preceded by a few days by Musica Senza Confini. June is a time for religious festivals with feast days of Saint Antonio and Saint John being celebrated as well as an ardia dedicated to saints Pietro and Paolo. From the town, nestled between mountains and plains, you can undertake excursions to Montiferru with its breath-taking views of Campidano, the Sinis peninsula and the peaks of Gennargentu. The peaks are covered mainly with holm oaks and holly: the forests of Pabassiu and Su Monte with their century-old trees are worth exploring. The area has been inhabited since the Neolithic, as seen from the dolmen and menhir, and densely populated since the Bronze Age: about one hundred Nuragic monuments surround the town and make Seneghe a town with one of the highest numbers of Nuragic sites and half of the archaeological itineraries. Among the Giant’s Tombs, Serrelizzos and s’Omo de sas Zanas stand out; while among the well-preserved nuraghes, the corridor nuraghe of Narba, the four-lobed Zinzimureddos, the three-lobed Campu and the single-towered Lande and Littu are worth visiting. However, the most impressive of all is the majestic four-lobed royal nuraghe of Mesu Maiore. The most notable of the copious artefact finds are a female head in marble, a small lion’s head and a bronze medallion. The paving stones of the road leading from Cornus to the village of Serrelizzos have remained intact since the Phoenician period. The most significant remains of the Roman dominion are the thermal springs of Funtana Fraigada. You can also experience the decadent charm of industrial archaeology in an impervious, abandoned location: the Su Enturgiu mine and mining town surrounded by forests. At the times of the Carthaginians, the area was already being scouted for iron deposits however, it was the Spanish to begin excavations and the Savoy to continue in the 18th century.